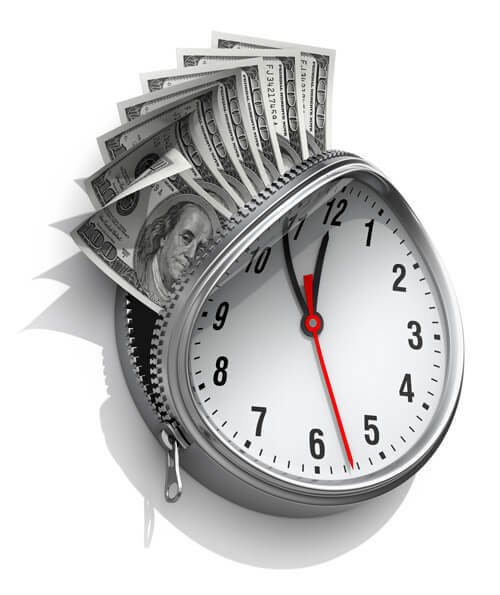 The chargeback time limit refers to the specific time window allowed for parties to respond to each phase of a chargeback dispute. Cardholders, banks, and merchants each need to keep to the deadlines imposed by the card networks or risk losing a claim. Restricting the time-frame for all responses keeps the process from dragging out and helps ensure that both cardholders’ and merchants’ rights are upheld. Time limits, however, are just one of the many inherent regulations that make fighting chargebacks a complicated and stressful process. Plus, time limits are not standardized across card networks; they can vary by as much as two months, depending on the chargeback type. To demonstrate how the requirements can deviate between schemes, we take a look at the two largest networks, Mastercard and Visa. Until recently, the chargeback time limits for Mastercard and Visa had only minor differences. The new Visa Claims Resolution (VCR) initiative, however, made the differences much more distinct. VCR was implemented, in part, to speed up the overall chargeback dispute process. That includes cutting the allowable times for responses, as well as equalizing response windows across all parties. Visa also removed the "timing out" option: under the legacy system, merchants had the option of simply ignoring a request for response until the allowable time ran out, effectively accepting the chargeback by default. Now, Visa imposes a fine on merchants who don't respond in a timely manner--even if that response is an acceptance of the chargeback. Mastercard uses specific terms for each phase of the chargeback process. Understanding these terms will help anticipate the appropriate chargeback time limit for a transaction. First Presentment: the merchant processes the original transaction. First Chargeback: the issuer or cardholder disputes the transaction. Second Presentment: the merchant “re-presents” the transaction, accompanied by supporting evidence that contradicts the chargeback. Pre-Arbitration Chargeback: the issuer disputes the merchant’s chargeback representment. Chargeback Arbitration: the merchant, cardholder and issuer are unable to resolve the case, forcing Mastercard to intervene and make a final decision. Keep in mind that not all of these steps will apply to every chargeback. Some cases won't proceed beyond the initial chargeback; most won't see the pre-arbitration stage, and very few will last all the way to arbitration. The majority of Mastercard chargeback time limits are based on the Central Site Business Date, which is considered "Day One" for that phase. Subsequent deadlines start at that date, then go until the phase is completed. The day of phase completion becomes the new Central Site Business Date for the next phase. When filing a first chargeback, the Central Site Business Date is the day the original transaction was processed, so the deadline is a fixed number of days from that event. If filing a second presentment, the Central Site Business Date for the entire phase is the day the first chargeback is processed. When filing an arbitration chargeback, the Central Site Business Date is the day the second presentment is processed. If the case continues to arbitration, the Central Site Business Date is the day the arbitration chargeback is processed. An issuer may file only one chargeback per transaction within the applicable time frame for the given chargeback reason code. However, the process can be expedited in certain situations. For example, if the necessary supporting documentation isn’t provided within eight calendar days of the second presentment, the issuer can submit an arbitration chargeback after the ninth day. No Two Chargebacks are the Same. Have a unique response for every dispute? You’re gonna need one. The deadlines for chargeback responses are imposed by Mastercard and based on the case's assigned reason code. The issuer has leeway in some cases to alter the time limits offered to the cardholder, but the customer must act within that predetermined time limit. In most cases, cardholders may only file a chargeback within 120 calendar days of the Central Site Business Date, with some codes requiring shorter timeframes. Note that these limits apply only to the issuer and/or cardholder; acquiring banks and merchants have a set time limit of 45 days to respond to each phase. Having different chargeback time limits for different reason codes is confusing enough, but unfortunately, it gets even more convoluted. Although Mastercard's chargeback time limits are fairly strict, there are some exceptions or conditions that can alter that timeframe. Specifically, the codes 4850, 4854, 4855, and 4860 offer varying time limits. The acquiring bank must submit the second presentment within 45 calendar days of the Central Site Business Date (in this case, the day the bank receives the chargeback). The issuing bank must initiate an arbitration chargeback within 45 calendar days of the Central Site Business Date (the day the bank received the second presentment). Either party must seek arbitration within 45 calendar days of the Central Site Business Date (the day the arbitration chargeback is presented). The bank must provide the necessary documentation within eight calendar days of submitting the chargeback, second presentment, or arbitration chargeback. Most of the new time limits for chargebacks--or disputes, as Visa now labels them--are set at 30 days for merchants, and that is scheduled to be made even shorter in 2019. Businesses will need to respond within that time window in order to challenge the dispute. Visa would like to have all disputes resolved within 31 days, if possible. All responses are tracked through Visa Response Online (VROL). Under VCR, chargeback disputes are tracked through one of two workflows. While the chargeback time limits for merchants and acquirers has seen a mandatory reduction, the limits for cardholders can vary from one issuer to another. Visa has established core rules--that's what we show below--but individual issuers have some freedom in setting limits, as well. Again, these are time limits for cardholders and/or issuers only; acquirers and merchants must respond within 30 days for each phase. *Time limit begins on the day the fraud is identified by the Merchant Fraud Performance Program. Another new element under VCR involves what is called pre-arbitration: issuing banks and cardholders will now have 30 days to respond to the merchant's rebuttal. Learn how effective chargeback disputes can recover revenue and improve your business’s reputation. As with Mastercard, Visa has some exceptions or conditions that can change the amount of time allowed. The most significant time limit modifiers are attached to three specific codes, 13.1, 13.3 and 13.6. Finally, this reason code deals with chargebacks stemming from a credit not being processed. Issuers must wait 15 calendar days from the Credit Transaction Receipt before initiating a dispute. This does not apply if the CTR is undated … or if doing so would cause the dispute to go beyond the time limit. Like Mastercard, all timeframes are measured from Day One of the applicable phase. However, where Mastercard counts days from the actual Central Site Business Date, Visa timeframes start on the day after. Managing chargebacks is challenging under the best of circumstances, and while chargeback time limits certainly provide a benefit, they can make the process even more stressful for merchants. Visa's new simplified process should help with that in the long run, but having the two major card schemes handling chargeback disputes in significantly different manners makes things much more complicated in the meantime. Having said that, not fighting illegitimate chargebacks is essentially throwing away profits. Each chargeback representment is a unique attempt to reclaim money that never should have been lost in the first place. This balancing act often leaves merchants feeling helpless. Outsourcing the task of chargeback representment ensures a much higher win rate. In fact, Chargebacks911® offers a guaranteed ROI for all chargeback disputes we compile on your behalf. Contact us today; we’ll tell you more about ensuring representment success amid restrictive chargeback time limits and improving your business’s bottom line.